This post is a part of Nicole Carman’s mental health-related holiday post series, “Taking Care of your Mental Health during the Holiday Season.” To see the post line-up for the previous and remaining posts in this series, please visit “https://www.navigatingdarkness.com/taking-care-of-your-mental-health-during-the-holiday-season …” this page on Nicole’s blog, Navigating Darkness. If you enjoy this post, please comment and consider sharing it on social media! When I was a kid, the holidays were my favorite time of the year. Like a lot of kids, it was pretty much because of what you would expect, presents, family gatherings, watching movies together, decorating, pumpkin pie and in my case the annual Christmas Eve church service. This was something I would still have enthusiasm for in my teens. And even in college I always couldn’t wait to get back home to civilization and have a usual holiday season. Fast forward though to after college. I was in a serious relationship with a woman I met first as a friend in college. We got along a lot as friends and I was there for her through a lot of challenges in her life while she would occasionally be there for me. But I will admit it was mostly a one-sided and stressful relationship where I had to pretty much put everything about me aside for her as opposed to it being 50/50. This would apply to the holidays as well. There were just so many family gatherings and obnoxious friend gatherings that I dreaded at that time and pretended to her excited for. This was around the time my depression and the numbness that came with it REALLY started to take over in my mind AND my body. Nothing was exciting for me anymore. My idea of excitement was once gatherings with people I cared about. Now it was being anxious to go home and have me-time. I was completely isolated from everything. This would affect my relationship even more and it’s one of the many reasons I never proposed. After 7 years, which my name would be 2 years ago, we officially broke up. It is still debatable about who dumped who, but whileI was very upset after the breakup finally happened, the next days and every day after, I was filled with feelings of independence and relief. This breakup happened in the fall. Later that fall, Donald Trump was elected our next president in the United States Of America. And meanwhile my numbness had hit a record high. I felt free throughout October by but by the time of Election Day I just said “screw it” and lost faith in everything. I stopped caring. I binge ate. Christmas was just another day for me. I felt there was nothing to be thankful for on Thanksgiving. My new attitude about the holidays was that it was forced happiness and I was alone through all of this so I just wanted them to be over with as quick as possible. This was no different the following year. Fast forward now to the current year, 2018. Early in the year there were a few movements that strongly opposed the current administration and their political agenda. The minute the March For Our Lives was seen on my parents’ TV when tuned into CNN, the following night I discovered something extremely emotional, overwhelming and hopeful all at once. My numbness went away. I was in a new state of depression. All of my bottled up emotions that were buried inside for years would come pouring out little by little through the course of the year. 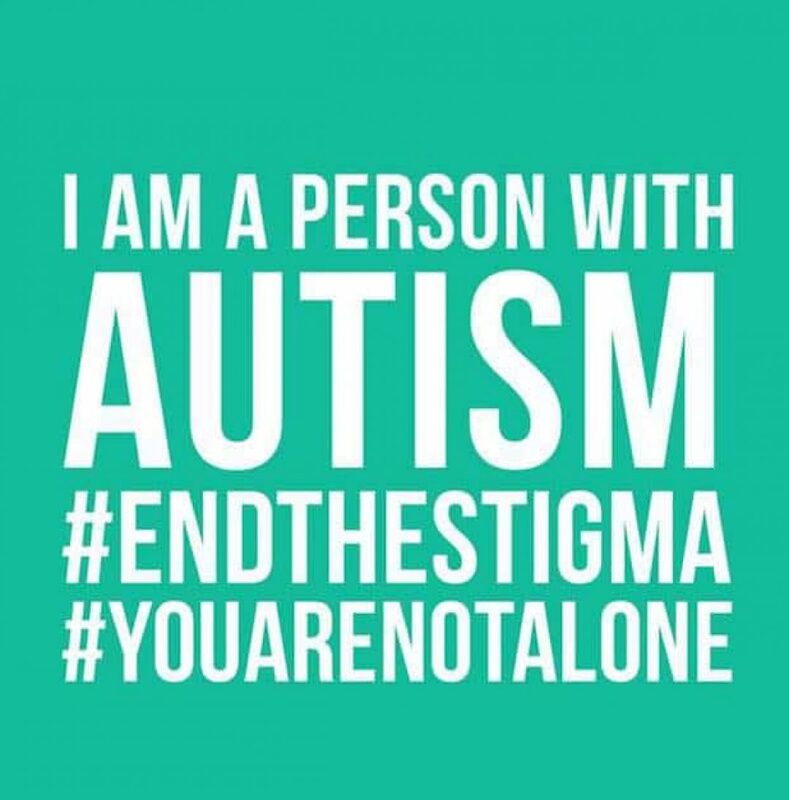 I was positively triggered and inspired by young people fighting for change and a safer future that I ended up wanting to make up for lost time and do something with my life to advocate for my autism and stop the stigma surrounding mental health just like my depression. The holidays are coming up very soon. But this time I feel more like my younger self and I have a huge family on twitter of mental health advocates I have connected with throughout the course of the year as well. I no longer feel alone. And I am looking forward to celebrating the holidays again. I know I am not the only one who went through things like this mentally. And I want everyone else to know they are not the only ones either. These people on social media may not be in the same room or even time zone as me, but I feel closer and more near them then anyone I was friends with in my real life during my during and after college. I am looking forward to the new year as well, as I am not only looking positively at the outcome of the midterm elections but that the Mental Health Awareness Project will be posting stories just like this every month of 2019 showing the world that the stigma surrounding mental health and peoples’ mental illnesses is not okay and needs to end. So Happy Holidays and a Happy New. Year (hopefully) ahead. But always remember, it is okay to not be okay. Posted in mental health, the holiday season.Tagged christmas, confidence, depression, feelings, health, holidays, love, mental health, motivation, psychology, recovery, sadness, support.